From the beginning of time, debate has gone on about just how free we are to make decisions and carry them out. Philosophers divide into two major camps: monism holds that there is only one fundamental substance for everything and that substance is material. Dualistic thinking argues that both mind and matter exist and that non-material mind can somehow influence the physical processes in the brain and cause thoughts and actions to occur. Today the thinking is very heavily in favor of the monist point of view, mainly due to the inability of dualists to explain how mind can causally interact with matter. Dr. Tse challenges the axiom being put forth today that free will does not exist. He skillfully draws on both philosophy and science to make his case. His thesis seems simple: Neurons assess the inputs that trigger their firing and thus can change how other neurons will fire in the future. To fully develop this argument would require a review as long as the original book, but Dr. Tse makes his case using a variety of tools. He has a lengthy and informative discussion of neuron firing and opens us up to the idea that the process is much more complex and variable that we first thought. The idea of criterial causation is central to Dr. Tse’s thesis—neurons assess information and can then manipulate that information to bring about future events (even this definition is inadequate). The result is a groundbreaking new paradigm about how the mind works. Dr. Tse speaks several languages. He is conversant with the philosophical arguments and feels that they are inadequate because they do not consider the neurosciences. Of course, he speaks neuroscience. He also delves deeply into quantum mechanics, both to explore the contributions made by this discipline and to challenge some of the conclusions. Peter Tse draws upon a wide range of sciences, skillfully melding them together to reach and support his conclusions. The Neural Basis of Free Will has a vast amount of resources. The reference section alone runs 100 pages. There is a glossary that defines the terms used in the text—the reader would do well to keep a finger on that section in order to remember all the terms. Each chapter has a large set of notes at the end of the book that raise interesting points and clarify the material in the text itself. 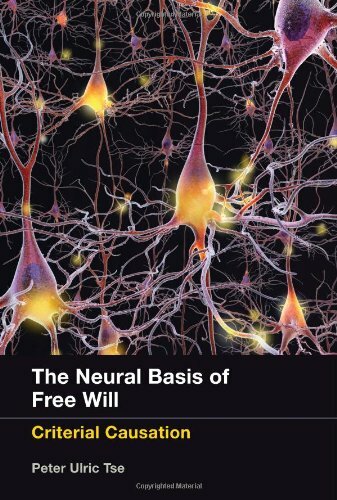 The Neural Basis of Free Will is an invaluable contribution to the mind-body debate, opening many new doors for discussion and research in this challenging field.